The Shure Beta 87A Supercardioid Condenser Mic is a new take on an old classic. The Beta 87 was consistently a top choice of performers and audio technicians due to its accuracy, detail, and rich vocal production. 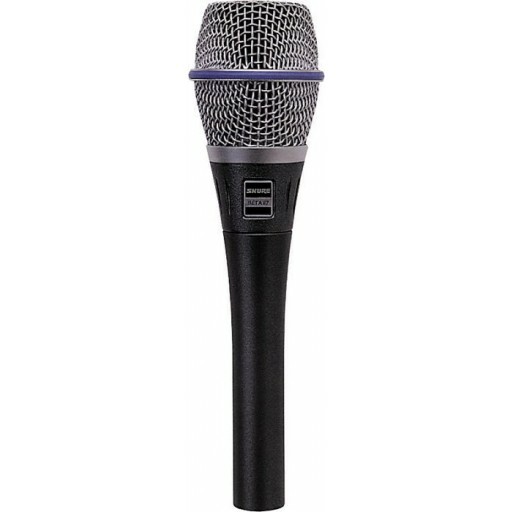 Now this longstanding favorite has been redesigned as the Shure Beta 87A. It has a thicker handle that gives a more comfortable feel when hand-held. It also includes a new break-resistant swivel adapter and low-frequency roll-off to compensate for proximity effect and to prevent boominess. The supercardioid pattern provides high gain-before-feedback, and its 3-stage pop filter minimizes breath pop and noise. Frequency response: 50Hz-18kHz.